As the biggest one-day race on British soil in years, the London-Surrey Cycle Classic represents a huge opportunity for the domestic teams. Ed Clancy is unsurprisingly relishing the chance to test himself against some of the world’s best sprinters on Sunday, but is downplaying his chances of success on The Mall. 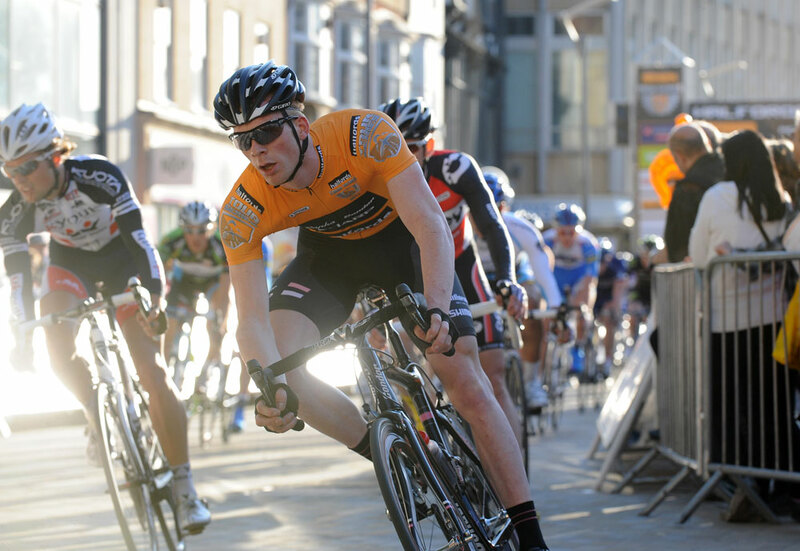 Clancy has used his impressive kick to good effect on several occasions this season, most notably in his wins in the Aberystwyth Tour Series round and the Elite Circuit Series race in Colne. Nonetheless, he told Cycling Weekly that he realises it will be tough to triumph against the likes of Mark Cavendish, Matt Goss and Tom Boonen. “A few people have been saying to me that I’ve got a good chance on Sunday but I think the gap in quality is likely to show. If I’m still there at the finish of course I’ll give it my best shot. Unsurprisingly, he predicts that the domestic teams will try and take the race to the national squads from the gun. “I’d imagine that all the domestic teams will want to put someone in an early break, but no-one expects us to get a result, let alone win, on Sunday. Whereas Box Hill is well known to cyclists in the south east, it will be completely new to Clancy. We suggested that, regardless of the result on Sunday, Clancy has something that Mark Cavendish does not: an Olympic gold medal. This race has a special significance for the squad, as the route virtually passes right by the Sigma Sport flagship store in Kingston. “It’s got a Premier Calendar-meets-Classics feel to it, it’s an interesting field,” team manager Matt Stephens said. The team for Sunday consists of Simon Richardson, Tom Murray, Steve Lampier, Tom Last and Russell Hampton. expect Ian Bibby and Jonny McEvoy to feature at the sharp end of the race. ”This is the closest we get, this is our Olympics,” team manager Rod Freeman said. “It’s got the potential to be the biggest race we’ve ever done, but we’ll try to prepare for it in the same way as for Premier Calendar,” he said. “We’ll try to get some guys in the early break. Getting one of the primes, the King of the Mountains, would be fantastic, a real David and Goliath kind of story. Getting three to the finish would be good,” he said, speaking about the team targets. He tipped Stephen Gallagher as “proably our best challenger” and Jason White to be up for it. Tom Barras, Richard Hepworth and Dale Appleby complete the team’s line-up. “We’re making a big deal of it – any publicity is good publicity, and we’ll be doing our damndest,” sports director James Millard said. Simon Gaywood will be their leader, racing alongside Richard Cartland, Ian Knight, Jake Hales and Chris McNamara.